Business Unity South Africa (BUSA) made the following submission to Nersa regarding Eskom’s fourth multi-year price determination (MYPD4) application for the 2019/20 to 2021/22 financial years. BUSA’s response to Eskom’s pricing applications consistently emphasises the relationship between reliability of supply; predictability of tariffs; competitiveness of tariffs and the economy as a whole. In nominal terms, Eskom’s average standard electricity prices have increased by 613% over the last 15 years. Electricity is a major input for many industries in South Africa. The MYPD4 application seeks tariff hikes of 52% over a three-year period (56% following the revisions), excluding the impact of the approved RCA applications in respect of 2014 – 2017; and yet to be considered and approved RCA application in respect of 2017/18. It is likely that primary energy cost escalations would result in a further RCA application in respect of 2018/19. NERSA has demonstrated in prior approvals that BUSA’s submissions in respect of affordability have been taken into account. If approved, the current application would constrain investment in South Africa and would contribute to stagnant economic growth, significant job losses and grid defection – exacerbating the death spiral phenomenon. The price of electricity must be justifiable, both in meeting the requirements of the methodology and in being affordable. BUSA is concerned that the cumbersome MYPD application process continues to be flawed. Furthermore, it is unacceptable that consumers are given insufficient opportunity to interrogate fundamental last-minute changes. The process is time consuming, distracting Eskom management; if the return on RAB is used as the balancing number, tariff setting is open to manipulation. The intended predictability of the tariff trajectory is undermined as a result of an ambiguous definition of prudently incurred costs in the context of Eskom’s developmental mandate. Only costs prudently and efficiently incurred are recoverable in terms of the MYPD methodology. Eskom has a dual mandate – to supply reliable and affordable electricity and developmental mandate. BUSA believes that the shareholder should be liable for costs relating to Eskom’s developmental mandate, as these costs are unrelated to the efficient supply of reliable and affordable electricity. In prior rulings, NERSA concurred that customers should not be liable for excessive costs relating to decisions imposed on Eskom. Tariff predictability needs to improve by ensuring that there is clarity on key inputs into the tariff formula, applied consistently. Eskom has consistently failed to motivate assumptions used in the price applications. Further, these assumptions have consistently failed to materialise. It is of critical importance that assumptions are realistic. Associated RCA adjustments undermine the intended tariff predictability. Eskom must be overseen and managed by an accountable and competent board and management team, responsible to ensure efficiencies through an operational restructuring; and to underpin economic growth in chosen market as a supplier of reliable and affordable electricity. Application assumptions must withstand scrutiny, be realistic and adequately motivated. Large discrepancies between tariff applications and approvals undermine investor confidence. The application for a 52% increase in tariffs over 3 years is anticipated to result in revenue increasing from R190-billion in 2018/19 to R291-billion in 2021/22. The revised plan provides for the same revenue, spread over a smaller user base. The increased revenue is ascribed to R25-billion in respect of costs in excess of those approved for 2018/19, primarily relating to operating expenditure (R7-billion) and primary energy costs (R17-billion). Recognising the primary energy cost overruns in 2018/19, it is probable that Eskom would submit a further RCA application. Eskom’s revenue has consistently fallen short of projections as a result of sales volumes not meeting expectations. The commencement of the death spiral has contributed significantly to the steep tariff increases. Sales volume: Forecasts continue to be unrealistic if the tariff is approved. Standard tariff sales are reasonable (albeit somewhat optimistic) only if tariffs increase at CPI. Cost structures: We believe that the costs which underpin the tariff application include significant costs not prudently incurred. It is unacceptable that Eskom is unable to recover revenue due to it from some municipalities, currently amounting to R17-billion, contributing materially to Eskom’s liquidity crisis. RAB was revalued from about R700-billion to R1268-billion (subsequently reduced to R1253-billion) and the remaining life of the assets have been reduced – with a significant impact on return on RAB and depreciation. NERSA must perform an independent review of the revaluation. In the interim, a revaluation should be disallowed. Whilst the impact on tariffs is not immediate, it sets the base for substantial future tariff increases. It appears as if return on RAB has been used as the balancing number. Negative returns in the short term, increasing to only 1% in 2021/22. It is inappropriate for Eskom to apply for negative returns. This is contrary to the methodology. BUSA is in favour of appropriate returns being phased in, so as to avoid a sudden tariff increase. The application is premised on the assumption that depreciation would increase from R25-billion to R75-billion over the three-year period (R65-billion in the first year). BUSA believes that the consumer should never be liable for artificially inflated depreciation pursuant to a revaluation. Furthermore, any tariff increase pursuant to an asset life adjustment should be carefully scrutinised, as this could be indicative of costs not prudently incurred. Depreciation should be based on actual capex, prudently incurred. Asset life adjustments must be carefully motivated and scrutinised. A study conducted by Nersa in 2016/17 determined that Eskom was able to produce 240 GWh with about 33 000 employees in 2007/08 (7,3 GWh/employee). At that time (2016/17), Eskom produced 216 GWh with 39 000 employees (5,3 GWh/employee). Eskom currently has more than 41 000 employees, producing 220 GWh. Nersa concluded that Eskom had about 6000 excess staff members, although BUSA believes that this is a conservative estimate. It is of concern that employee costs have continued to increase – from R24-billion in 2017/18 to a projected R27-billion in 2018/19, contributing to operating costs being R7-billion higher than the approved cost. Employee costs are anticipated to reduce in 2019/20. However, we continue to believe that there are significant residual inefficiencies. Recognising Eskom’s developmental mandate, BUSA believes that associated costs should be funded by the shareholder, rather than the consumer. 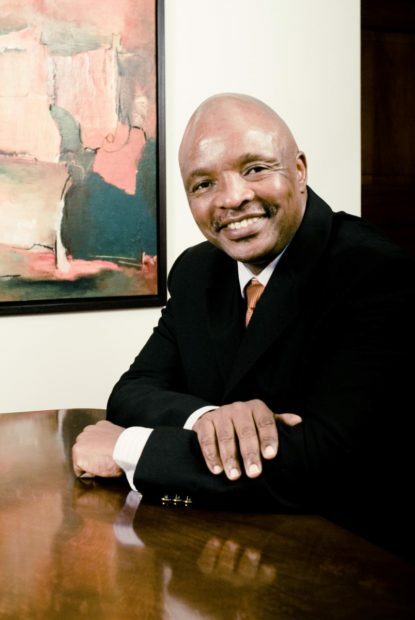 Nersa must carefully assess Eskom’s human capital requirements. Any costs in excess of those required by Eskom to operate efficiently should be funded by the shareholder. Operating and maintenance costs are anticipated to increase from R26-billoin in 2017/18 to a projected R28-billion in 2018/19, primarily ascribed to maintenance, which is anticipated to increase from R14-billion to R16,5-billion. In view of the backlog, increased maintenance costs were to be expected. However, the consumer should not be liable for backlog maintenance costs, as such excess is a direct result of new plants not being commissioned on time. Debt impairments are anticipated to peak in 2018/19 at R4-billion, reducing to R2-billion in 2019/20. The consumer should not be liable for any impairment of municipal debt. Production and coal burn are anticipated to remain stable at 201 TWh/y and 115 t/y respectively. Coal contribution to gross production is anticipated to reduce from 84% to 81% in 2021/22. In the revised plan, Kusile and Medupi inefficiencies translate into unacceptable energy availability levels, resulting in over-utilisation of expensive OCGT capacity and IPPs. It is of concern that Kusile and Medupi does not appear to unlock coal volume efficiencies. Unit costs have and are anticipated to increase exponentially, in line with World Bank forecasts for the industry. Costs anticipated to increase by 17% in 2018/19 (approx. R480/t) – the most material contributor to the R25-billion shortfall. Cost could have been significantly lower Eskom had invested in tied mines. Water related costs: Increased from R2,3-billion in 2017/18 to R3,3-billion in 2018/19. OCGT costs: Increased from R0,3bn (2017/18) to R0,8bn (2018/19). It is of concern that consumption is not projected to reduce as Kusile and Medupi units are commissioned. In the revised plan, OCGT fuel burn is anticipated to add R6,2-billion to the anticipated costs over the three-year period. The consumer should not be liable for increases relating to the decision not to fund tied-mine capital expansion; Kusile and Medupi delays; or challenges arising from poor governance. The potential to displace lower cost Eskom production – this is not the case to date and does not appear to be the case during the MYPD4 period, recognising that OCGT production is not anticipated to decrease. Upward pressure on the average tariffs, thus contributing to the death spiral. NERSA should consider alternative funding options to ensure that IPP costs are appropriately amortised, so as to minimise the impact on the death spiral. Debt anticipated to grow from R400-billion to R600-billion. Eskom is generating insufficient cash to cover its costs and service its debt. Debt levels need to reduce by at least R200-billion. To strengthen Eskom’s balance sheet, the only viable solution appears to be a capitalisation/write down of at least R200-billion debt. Tariff increases in excess of inflation reduces competitiveness, thus accelerating the death spiral. The tariff methodology specifically seeks to amortise tariffs appropriately. If achievable, a compromise with debt providers would have a negative impact on credit ratings and on the ability to raise future funding. A sale of assets should be encouraged, but implementation is subject to a restructuring of the industry. In the long run, tariffs need to be affordable, so as to avoid the death spiral; and reflective of prudently incurred costs plus an appropriate return. BUSA is concerned that capital expenditure remains stubbornly high, notwithstanding Eskom’s financial constraints. It is of particular concern that South African consumers are expected to pay more as a result of the loss of an international customer. Primary energy costs are anticipated to increase, despite lower volumes. This appears to be a direct result of Medupi and Kusile inefficiencies, resulting in unacceptable energy availability and a consequential over-utilisation of expensive OCGT capacity and IPPs. At the same time, 26 units are shut down as these are “not required to meet demand”. No adjustment is made to operating costs despite the lower sales. Eskom is using debt affordability as motivation for higher tariffs, when the methodology specifically seeks to avoid this by amortising increases appropriately. IPPs would not supply power to Eskom but would compete with Eskom to provide electricity to the grid. Small-scale embedded generation projects word be unlocked that would enhance security of supply. In the context of a restructured energy supply industry, Eskom’s operating model would need to be holistically and comprehensively reconfigured. In the short term, a functional separation of generation from transmission and distribution, resulting in an independent grid, is one step that can be taken soon (and without legislative amendments) as a pre-cursor to a legal separation. Eskom’s operating model is not fit for purpose – the utility must be restructured. This cannot be done in isolation of a restructuring of the whole electricity industry. Methodology aimed at ensuring that tariffs are amortised, so as to avoid inappropriate increases to fund debt. Eskom should be able to recover costs prudently incurred plus an appropriate return on RAB. Failing this, financial constraints would recur in the future, irrespective of how immediate constraints are addressed. However, consumers are given insufficient opportunity to interrogate fundamental last-minute changes. Principles have not been applied consistently: The 5-year MYPD3 application was followed by a 1-year application for the 2018/19. MYPD4 provides for only three years, instead of five. Tariff setting is open to manipulation as return on RAB seemingly is the balancing number. The definition of prudently incurred expenditure remains ambiguous in view of Eskom’s developmental mandate, resulting in large discrepancies between tariff applications and those approved. Assumptions have proven to be inaccurate, resulting in RCA applications that undermine predictability. The tariff trajectory can be changed fundamentally through a revaluation of the regulatory base and a reduction of the remaining life of the assets. While the methodology is sound, it may be appropriate to suspend it until such time as the electricity supply industry is restructured, especially as tariff setting is open to manipulation until return on RAB is fully recognised. Consideration should be given to a suspension of the MYPD methodology, approving inflation linked tariff increases until the restructuring of the ESI is complete. BUSA is a confederation of business organisations including chambers of commerce and industry, professional associations, corporate associations and unisectoral organisations. It represents South African business on macro-economic and high-level issues that affect it at the national and international levels. BUSA’s function is to ensure that business plays a constructive role in the country’s economic growth, development and transformation and to create an environment in which businesses of all sizes and in all sectors can thrive, expand and be competitive. As a principal representative of business in South Africa, BUSA represents the views of its members in several national structures and bodies, both statutory and non-statutory. BUSA also represents businesses’ interests in the National Economic Development and Labour Council (NEDLAC). The post BUSA’s submission to Nersa re Eskom’s latest tariff increase application appeared first on EE Publishers.